Meet my father in law, Kaseh. It’s a very short name, right? He’s still healthy in his age, eighty seven years old. But he already can’t hear well, I must speak louder near his ear or write down on paper to communicate with him; since he doesn’t like using a hearing aid tool. 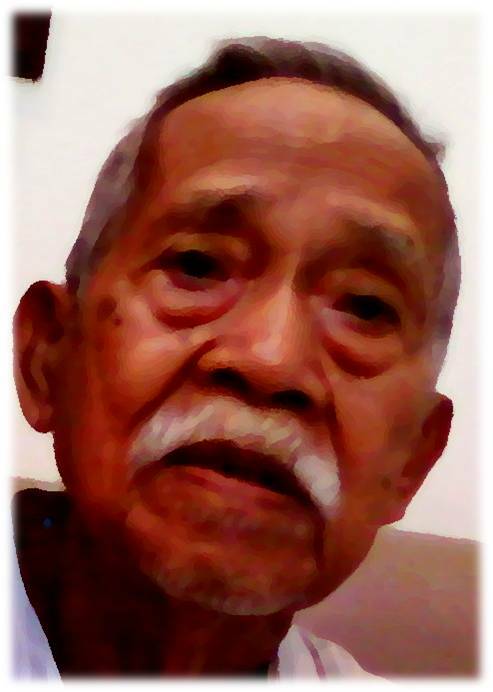 In his old age, he prefers to live alone at his own home; but he also loves travelling to visit his sons and daughters in Jakarta (capital city of Indonesia). Wish him good health! You're lucky..you still have father..my father was died when I've just finished my studying at high school..I wish your father given good health too by God..
Juga wajah mereka biasanya memancarkan keteduhan dan kebijaksanaan..
Nice to him. Wish him good and healthy life. Parents we wouldhappy to to hear good news about his daughter 's son . Maybe it was one happy our parents in old age.